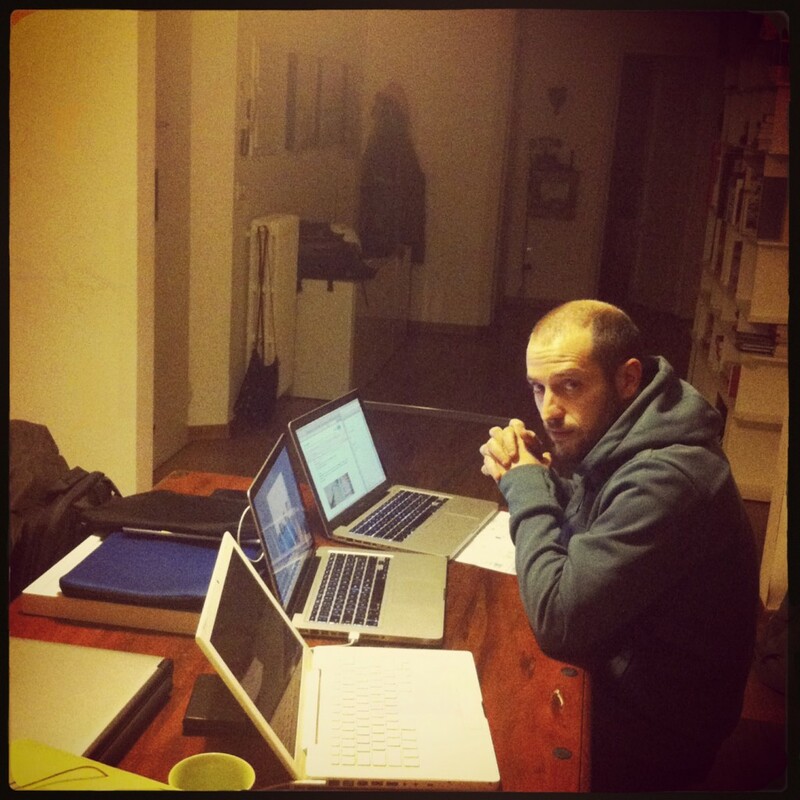 Pietro Paolini is an Italian photojournalist, and a member of the TerraProject collective. For many years he has divided his time between his home country and South America, a continent on which he has chosen to base most of his photographic research. When he returns to Europe, usually it is because he has a new prize to collect. 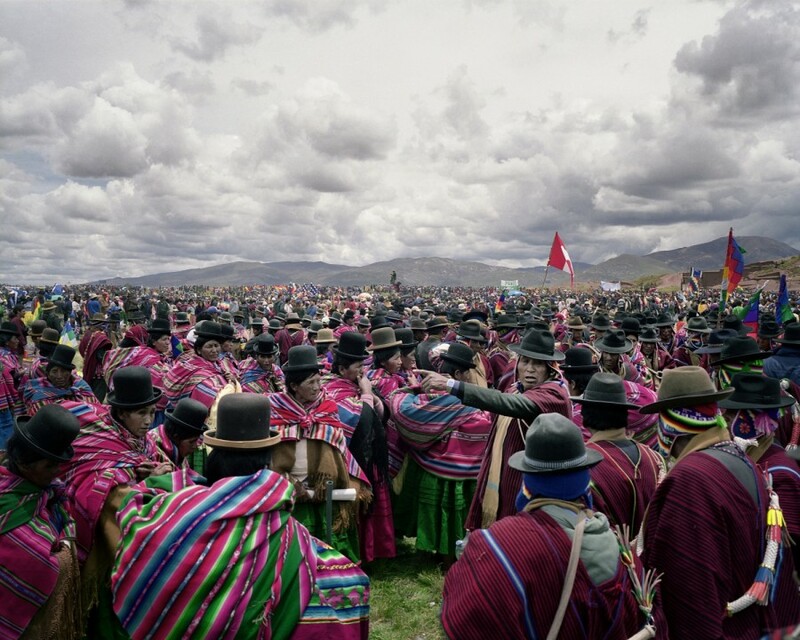 In 2012, he won the second prize in the World Press Photo award in the category Daily Life, with his series Bolivians – a visual journey through Evo Morale’s native country, the first indigenous president in the history of South America. Last September, his most recent project, Balance on the Zero: Ecuador 2011-2013, won the Marco Pesaresi Prize for Contemporary Photography. 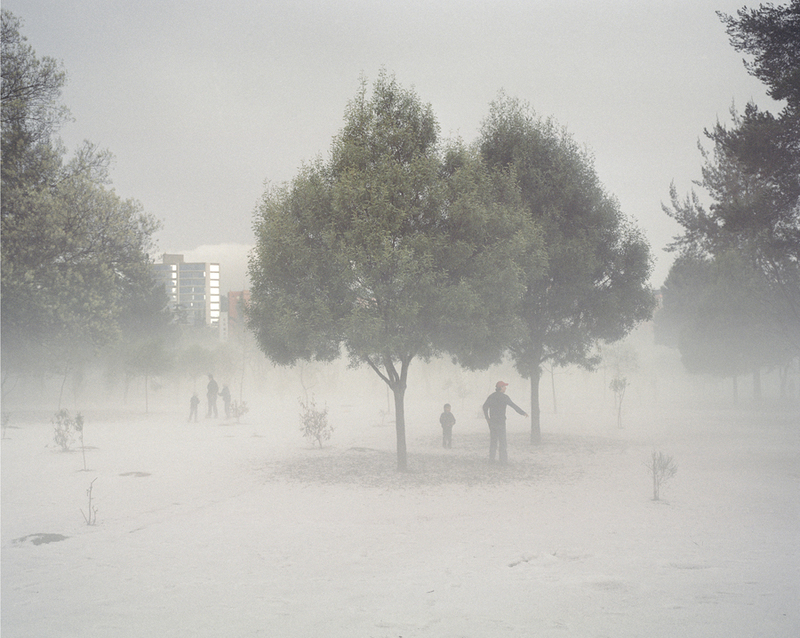 These images confer a portrait of the current situation in South America, in all its contradictions and potential, from the economic growth of the capital, Quinto, to the exploitation of natural resources, to the local lifestyle which has adopted the model of the US, in a union of tradition and progress. We met Pietro in order to understand more in depth the reasons for his interest in the neosocialist Latin American nations, and to reflect on the importance of certain choices and their impact on the work of a reportage photographer. The first question – and maybe the most obvious for an author who has committed himself with such dedication to the represen­tation of a particular area of the world: when and why is your pas­sion for South America triggered? Even though I had already travelled to South America in the past, the decisive moment was in 2004, when I was still attending the photography course at the Fondazione Studio Marangoni in Florence. By chance, I was starting to become interested in the dynamics relative to Chavez’s rise to power at the same time in which a close friend of mine was preparing her thesis on the political use of media in Venezuela. I seized the opportunity to travel to those places and document the events through a reportage. After that trip, I made sure I returned to Venezuela every year, and my interest towards the country and towards the neighbouring countries grew more and more. The thing I find most fascinating about South America is the idea that anything can happen: the continent is in constant and rapid development, from an economic, political and social point of view. In many aspects its culture is similar to that of Europe, though the period it is living is completely new and unique, charged with instability but also with innovative energy. My desire is to capture this moment and the vast space for possibility which it offers, and at the same time to contribute towards filling a gap in the information regarding what’s happening there, especially on a civic and everyday level. We often receive an incomplete and stereotypical vision of South America’s dynamics with regard in particular to the countries on which you’ve focused your attention. Photography, especially documentary and journalistic photography, is certainly a powerful tool with which to fill the gaps in the information. In this process, how important is the language you’ve adopted? The language is fundamental. Through it, a whole imagery is constructed, which one day translates into identity and the next day will become collective memory. My desire is to give life to a new icono-graphy of Latin America, which reflects what I see with my own eyes and doesn’t follow the preconceptions which we’re used to. From a visual point of view, this implies the necessity to find contemporary solutions. I decided to work with medium format and to use colour. Considering that the formal models of photography projects based where I work imply the use a wide-angle lens and black and white, one can sense how through my eyes I want to offer a different, alternative view. Even when it comes to subject-matter, I chose to free myself from the common stereotypes, for example gangs and violence, or corruption. Through my work I try to demonstrate that many things are happen­ing, both in the streets and in the houses, in the seats of power and in workplaces. And then, we mustn’t overlook the fact that with the introduction of digital innovations, there’s a whole new generation of Latin-American photographers, young professionals who work in this area, transmitting a more contemporary image of their country. Your own language has changed over the course of time, becoming at the same time more essential and more evocative. What impor­tance did your natural evolution as a photographer have, both throughout your travels and throughout your career, and what importance does your intimate contact with the lands which you tell us about have? In a photographer’s career, the aspect of personal growth and discovery, both technical and stylistic, is inevitable. In my case, we’re talking about ten crucial years, during which I’ve become more and more mature: I was still a student when I first began, I developed my style as I went along. I like setting myself challenges: I always try to take original images, images which I’ve not seen before, and this forces me into a continuous research. Naturally, the places I visit have a huge influence on my style. The atmosphere in South American coun­tries is dense with the same Magic Realism which you find in Gabriel Garcia Marquez’s novels, where reality and fantasy, history and legend, intertwine ceaselessly. My contact with this culture without doubt amplified my tendency to favour thematics of dreams and the imagination. A practical example, regarding my most recent work, taken in Ecuador: the kind of light present in the image, which confers a sense of suspension to the scene, is that which can be found in the rainy season. So, even though the choice to shoot solely in a specific environment is mine, the rest of the image’s suggestion is given by the context. There’s a funny comment all my local friends made when I showed them my project: “Did you notice that it’s also sunny in Ecuador?”. After Bolivians received second place at the World Press Photo 2012 in the category Daily Life, your project Balance on the Zero received the Premio Pesaresi. In both cases the awards were given to entire series, not to individual shots. What does it mean to tell stories through images in photojour­nalism today? My idea of photographic narration hasn’t always been the same. The first projects I created in South America were of photojournalistic nature: I was working with the publishing industry, which was tied to the traditional idea of journalistic information. As time went by, I became less and less interested in the accounting of facts, because I perceived the infor­mation content to be momentary and transitory. So I started to search for a style which could be understood in a universal sense, an approach which, still remaining within a documentary context, could add a greater meaning to the “what, when, where”. I think that to tell stories through images means first of all to overcome the anaesthesia to which our eyes are subject. The current problem with documentary photography derives from the inability of the images to stimulate spectators, who are overwhelmed by an abundance of repetitive visual material. As a conse­quence, for me it’s important to provoke a reaction, to raise questions. This implies a more articulate phase of research, a greater concentration and an attitude of complete honesty. By this point, you’ve established a continuous relationship of intimate understanding with the places which you describe in your projects, yet you are still based in Italy. What influence does this choice have on your life, even in everyday terms? Often I feel as though I’m travelling on parallel tracks. To live in two worlds in equal intensity isn’t a simple thing to manage, both in a logistic and in a mental sense. I had to find a balance, this too after all is an aspect of my job. I think the solution was to allow both of the two environments to satisfy different parts of me: although in South America I have friends and a certain lifestyle, when I’m there I live a day-to-day life which is still out of the ordinary, a life based only on artistic research. I’m totally concentrated on photography.